That could do "serious damage" to the UK's farming industry, he said. Sir Peter Westmacott, who served between 2012 and 2016, warned that the US is "playing hardball" and would demand that the UK ditches European standards in favour of Washington's — especially in the highly sensitive agricultural sector — in order to secure a prized post-Brexit trade deal, something which could do "serious damage" to Britain's farming industry. "When you speak to farmers, they are deeply worried about the implications of Brexit," he told Business Insider. "They see a free trade agreement with America as one that is inevitably going to embrace agriculture. "In would come high growth hormone beef, chlorine-washed chickens, GMOs, and even lamb produced at high volume and relatively low cost, all of which have the potential to do serious damage to Britain’s agricultural industry." The US fight with the EU over agricultural products runs back decades. The EU bans the imports of US-produced products including high-growth hormone-treated pork and beef, genetically modified cereals, and chlorine-washed chicken. Many British farmers worry that US producers will attempt to flood the market with such products after Brexit and undercut domestic producers. Liam Fox, the trade secretary, has defended the practice of chlorine-washing chickens and is desperate to secure a speedy trade deal with the US to shore up Britain's position as a post-Brexit trading powerhouse. In an interview with Business Insider last week, Fox said that the UK would have "complete control over tariffs and quotas" in agricultural goods after Brexit, which would provide "quite a scope" for a US trade deal, although he said the UK would continue to follow many EU rules in order to access its markets. 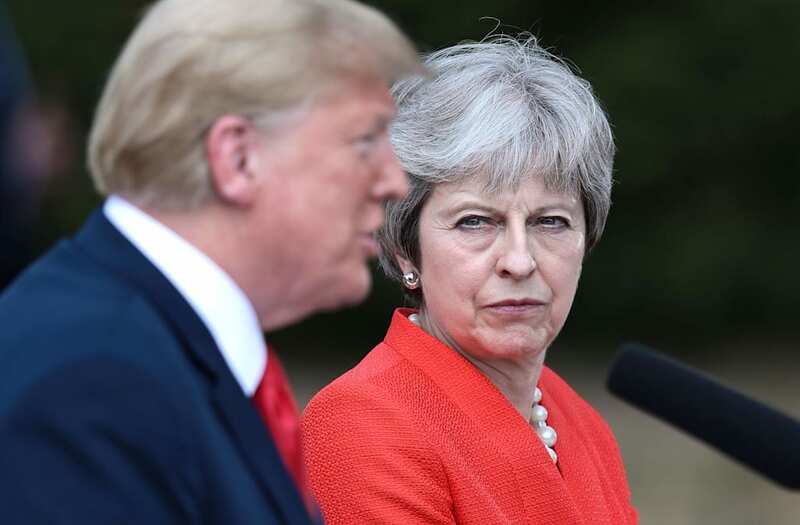 But Westmacott said that even a comprehensive UK-US trade deal would have a minimal impact on UK GDP and would be offset against a weaker trading relationship with Europe. "The greater the distance we put between ourselves and the European Union, the greater the economic cost but the greater the scope for doing our own free trade agreements," he said. "Unfortunately, those agreements are not going to make much difference. America is by far our biggest trading partner already. There are virtually no tariffs. In what way is our own free trade agreement going to improve those terms of trade?" "In some ways, it will be worse because the Americans are going to drive a tough bargain. "Whose regulatory and technical standards are we going to apply? They will try and force us to apply American standards." If the UK does strike an independent free trade agreement, it would likely still face extensive protectionist legislation such as the Buy American Act, which stipulates that United States government to prefer US-made products in its purchases, Westmacott said. "None of this stops US having a trading and investment relationship with the US that is second to none," he said. "But not even the most optimistic forecasts expect a free trade agreement to make more than a minimal difference to the UK’s GDP."